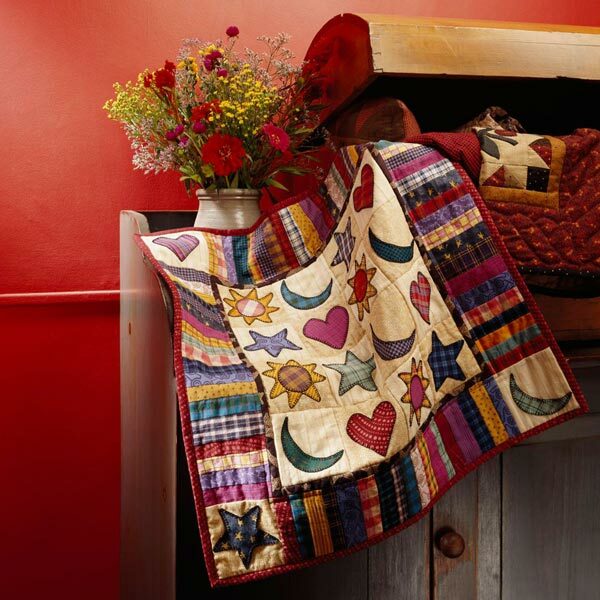 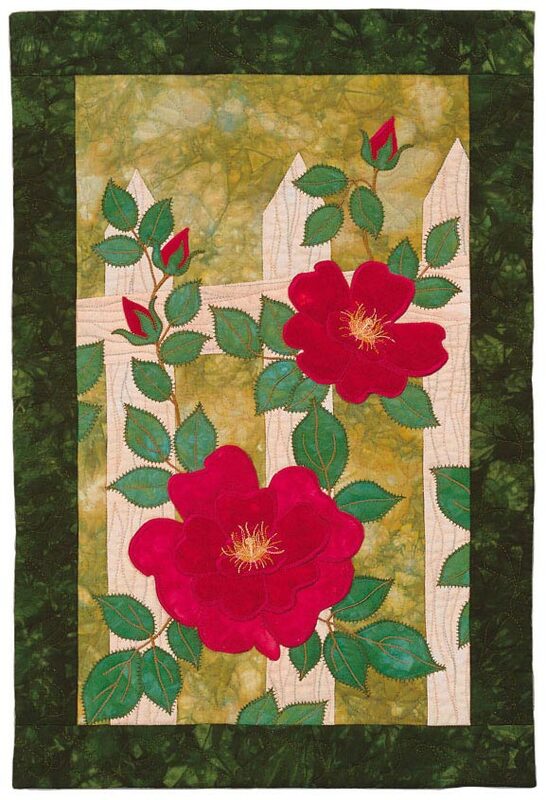 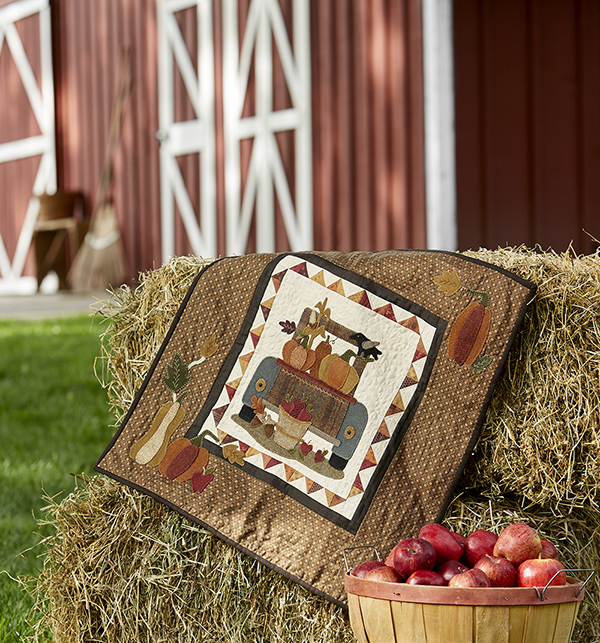 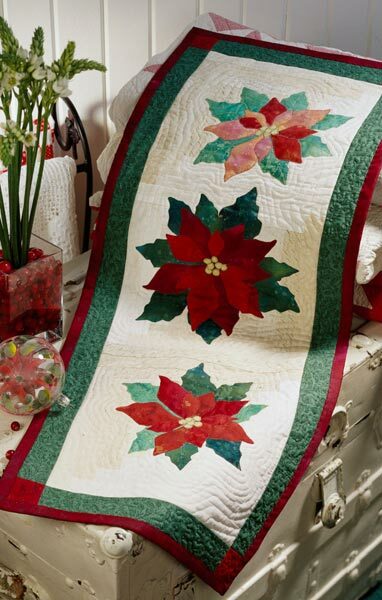 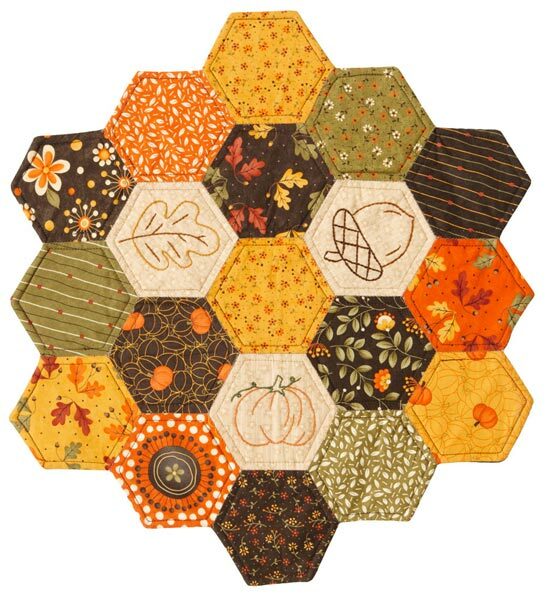 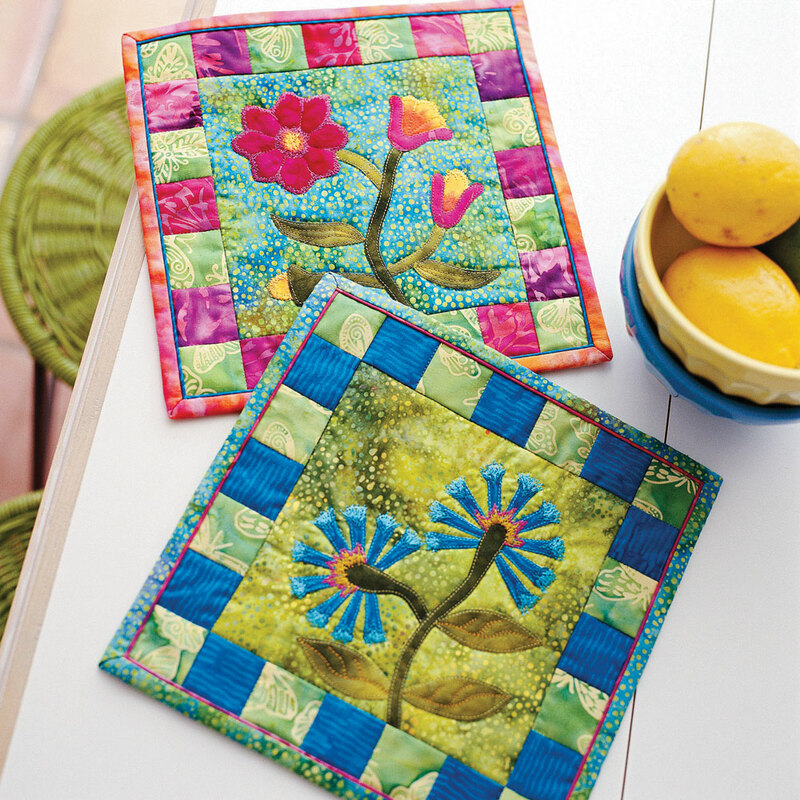 Cheerful pieced and appliqued friendship quilts express quilters' sentiments better than greeting cards. 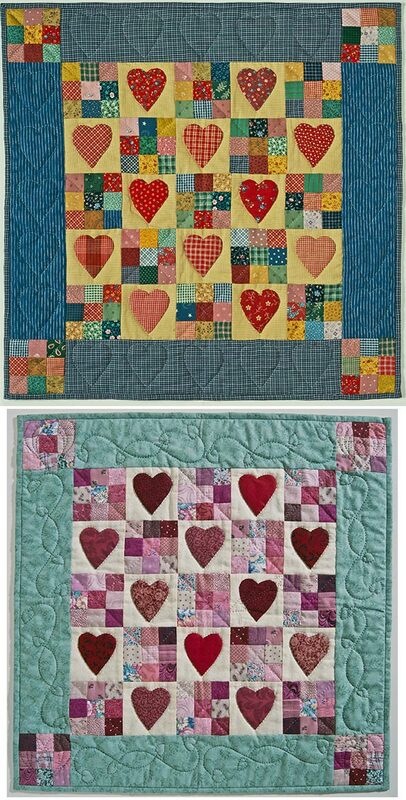 Finished quilts: 9-1/4" square. 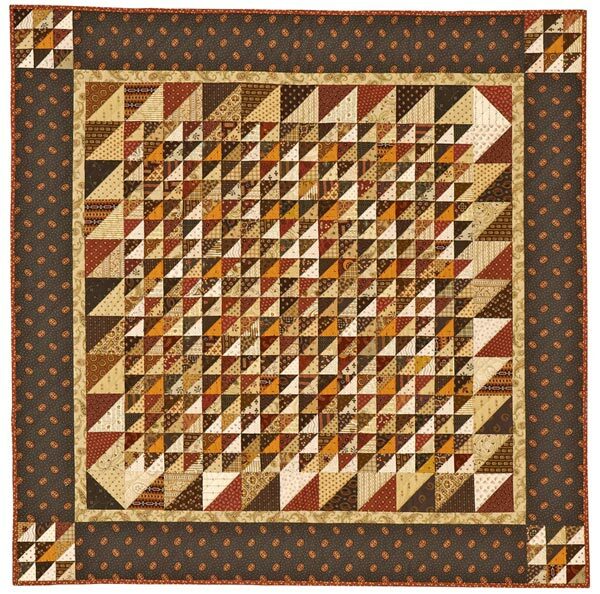 Inspired by Jo Morton's "Prairie Flowers". 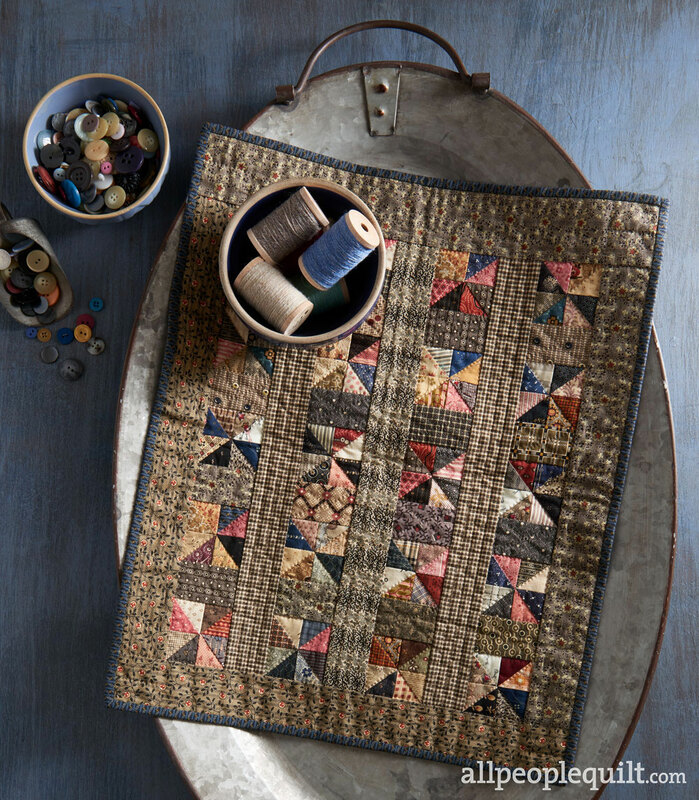 Quiltmaker: Janet Pittman.